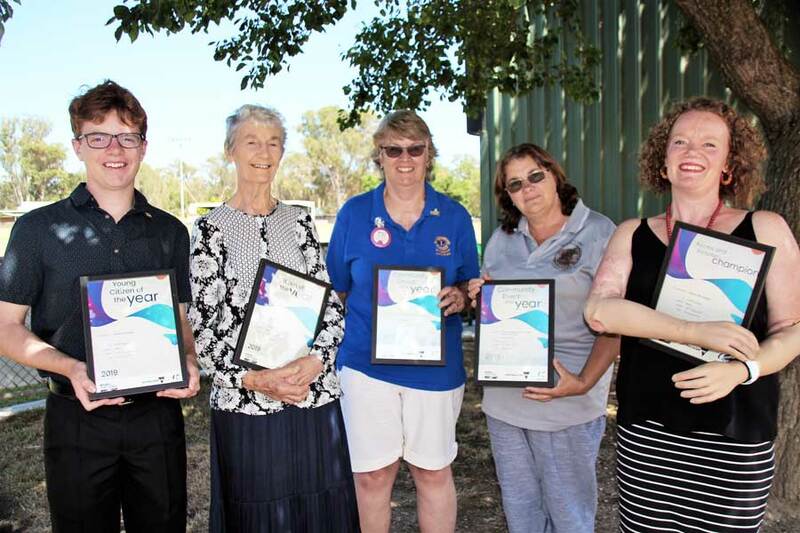 MITCHELL Shire’s most exceptional citizens were honoured during Australia Day celebrations in Seymour on Saturday. Seymour’s Pat Coffey was named Citizen of the Year for her many years of devoted volunteering in the Seymour area. Ms Coffey said it was humbling to receive the award after being part of the community for 22 years and volunteering with Seymour We Want and Mitchell Shire Visitor Information Centre, among other organisations. “There are so many wonderful people in Seymour and Mitchell Shire who do such great work. I think I was just fortunate to be chosen for this year’s for some reason,” she said. Max Hooper, also from Seymour, was named Mitchell Shire Young Citizen of the Year for his musical achievements. Mr Hooper recently graduated from Seymour College where he was school captain, during which time he was asked to make a speech at the town’s Anzac Day service but felt an original song would be more appropriate. “Music is a big passion of mine so I thought if I was there, I could do something I love for a special environment and it would be something different,” he said. Mr Hooper said it was a big surprise when he was told he was the Young Citizen of the Year and his family is “extremely proud” of him. Wandong History Group’s Walk Through the Wars exhibition was named Community Event of the Year. The exhibition took 12 months to develop and highlighted stories from local soldiers who served in World War I.
Wandong History Group president Karen Christiansen said the group was thrilled to receive the award. She added it was a great team effort in setting up the exhibition. “The award is really for the soldiers we honoured in the exhibition, rather than the group. Those soldiers made a great sacrifice so that Australia and indeed the world would be a better place,” Ms Christiansen said. The Lions Club of Seymour Goulburn was named Community Group of the Year for the hundreds of hours its members spend volunteering in the community. Finally, Kilmore East’s Mandy McCracken was named Access and Inclusion Champion for her work supporting disabled members of the community. Read Ms McCracken’s story on page 5. Finally, Kilmore East’s Mandy McCracken was named Access and Inclusion Champion for her work supporting disabled members of the community. She added it was a great team effort in setting up the exhibition.